Dr. Steven P. Jaffe was named one of Hour Magazines top dentists! 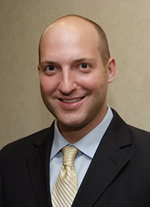 He graduated from the University of Michigan School of Dentistry, Ann Arbor with a Doctor of Dental Surgery degree. He then completed postgraduate training as a General Practice Resident at New York Methodist Hospital in Brooklyn, New York. Dr. Jaffe is a strong advocate for continuing education, completing an extensive dental implant training course and attending numerous courses in advanced oral surgery, invisible braces, cosmetics, prevention, and more. As part of your experienced dental team, Dr. Jaffe is highly trained in all areas of dentistry in order to deliver the best quality dental care. Dr. Raphael V. Goldstein's was also named one of Hour Magazine's top dentists! Using the most state of the art equipment and techniques, Dr. Goldstein's professional goal is to provide patients with the highest-quality dental care. Upon graduating from the University of Michigan School of Dentistry, Ann Arbor, with a Doctor of Dental Surgery degree, Dr. Goldstein completed postgraduate work at several other respected institutions, including attending Staff Dentist at Ravenswood Hospital, Chicago. Throughout his career, Dr. Goldstein has taken thousands of hours of continuing education courses in order to provide the most advanced and comfortable dentistry possible, including implant dentistry, orthodontics, cosmetic dentistry, and sedation dentistry, amongst others. 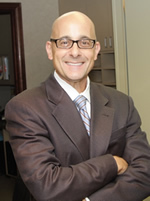 Currently, Dr. Goldstein has dental offices in Novi and Dearborn and is a medical staff member of Oakwood Hospital, Dearborn. Dr. Mavi recently returned from southern California where she received her dental degree from the University of Southern California where she was a recognized member of the Dean’s List. Dr. Mavi is passionate about empowering patients to maintain their oral health and provide a comfortable relaxed experience. A core component of Dr. Mavi’s philosophy is to provide dental care to under-served populations. She has participated in yearly mission trips serving in communities locally and around the world including Cambodia, Belize, the Philippines, and Panama. She is excited to bring her own passion for dentistry to our family of patients. 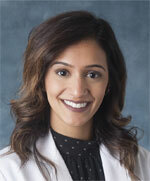 Dr. Shadiya Ahmed graduated from the University of Illinois Chicago School of Dentistry Advanced Standard program earning her DMD. Prior to this she received her BDS doctorate degree from SDMCDS in India. She is an active member of the American Dental Association, Michigan Dental Association, American Academy of Cosmetic Dentistry, Academy of General Dentistry, and American Student Dental Association. She enjoys performing Comprehensive and Aesthetic dentistry including all aspects of family dental care, and offers her patients the latest in quality treatment and diagnostic care. 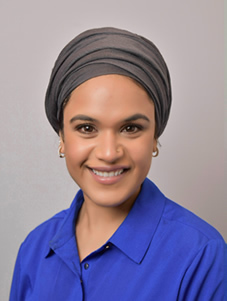 Dr.Ahmed is committed to continuing education with an evidence based approach, exploring new innovations in the field of dentistry and providing her patients with the best possible comfort and care and attention for all of their oral health needs. She enjoys her family time and is often found socializing in the community. She also enjoys reading, horseback riding, and ocean views.